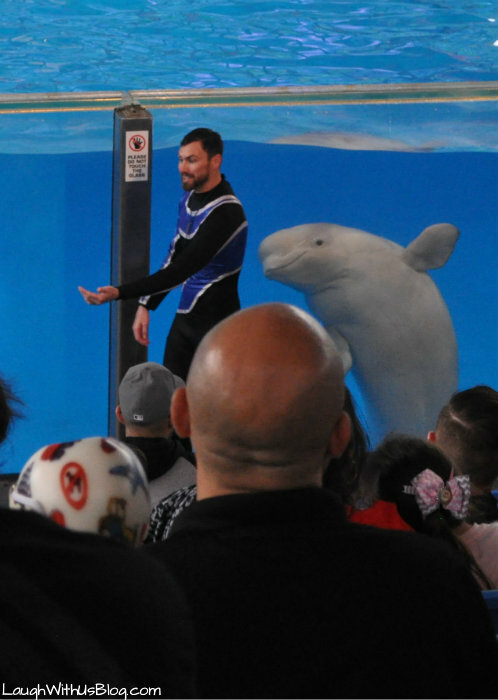 It’s spring and things are getting down right WILD at SeaWorld. 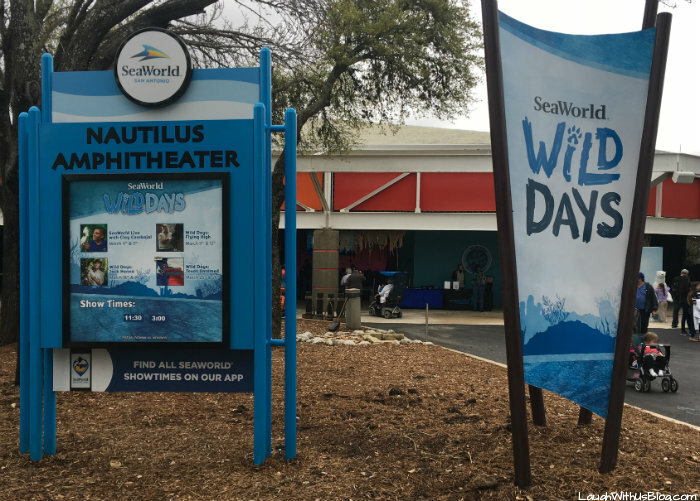 Thanks so much to SeaWorld San Antonio for inviting us to a media tour of Wild Days. All opinions are my own. 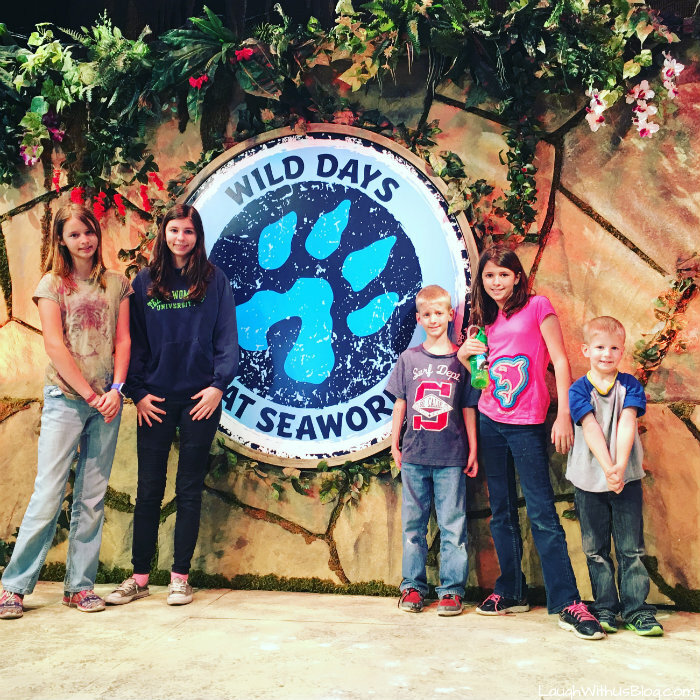 What to see and do at SeaWorld San Antonio this spring! 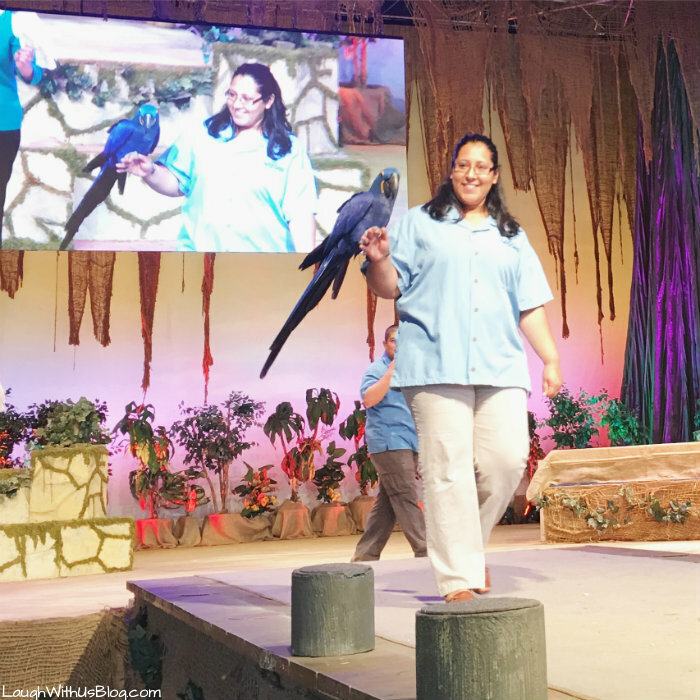 For four weekends in March and the entire week of March 11-19, SeaWorld® San Antonio will be hosting different celebrity wildlife experts, including TV favorite, ‘Jungle’ Jack Hanna! 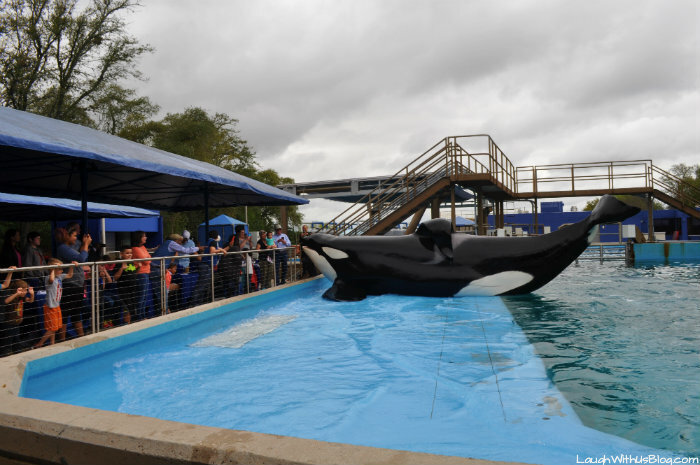 We were able to get front row seating for SeaWorld Live! We were introduced to so many amazing animals. It was the first time I remember seeing a sloth! 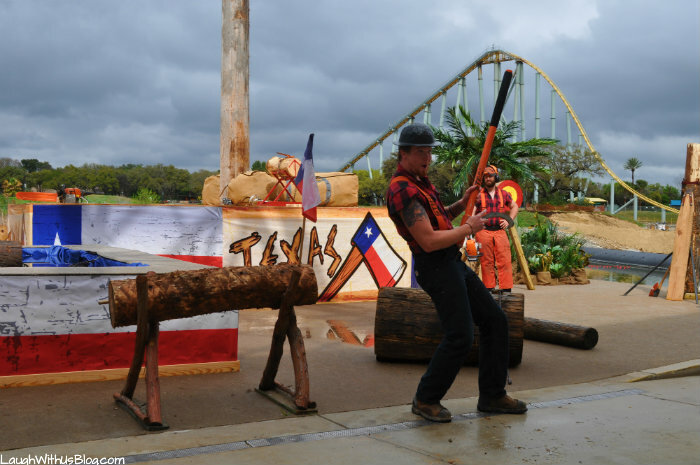 Coming shows include TV favorite, ‘Jungle’ Jack Hanna, Flying High and, Texas Untamed, where you can get an up-close look at the native wildlife of the Lone Star State. 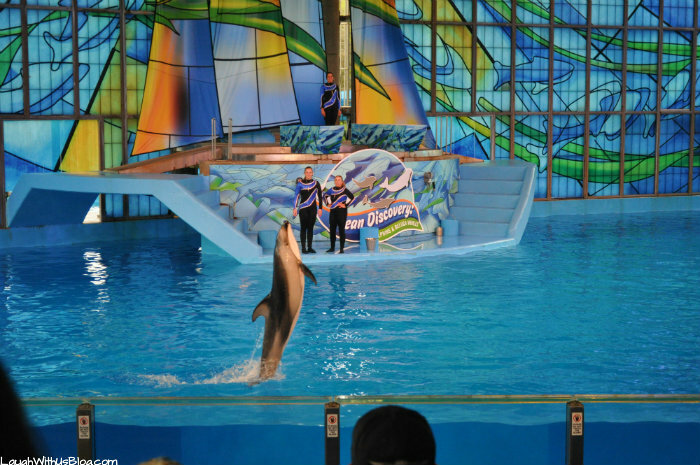 This was a show unlike any other I have ever seen at SeaWorld! 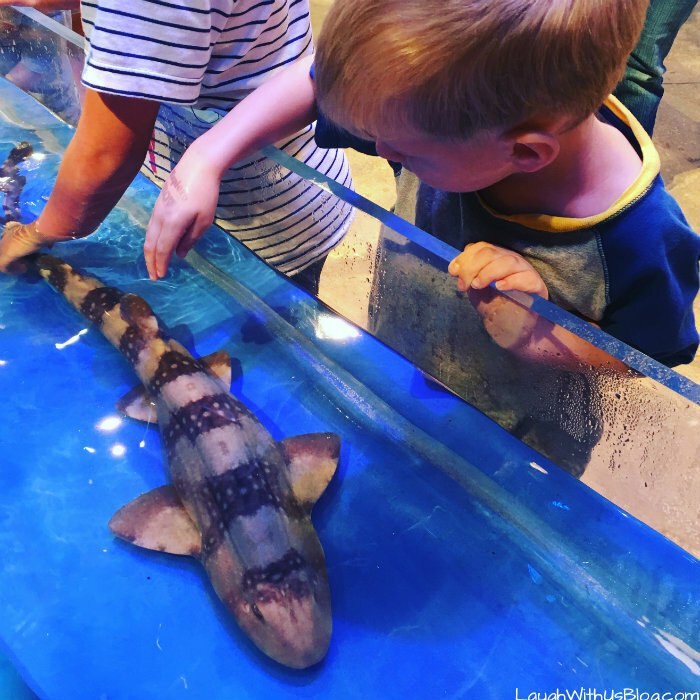 After the show we got to go back stage and…touch a shark! This was definitely the highlight for my boys! 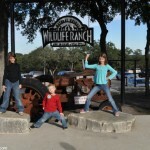 This WILD crew had an amazing time! 2. 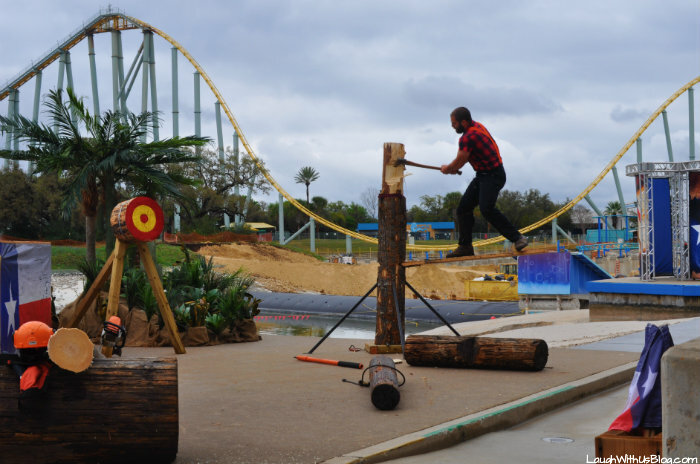 Also at SeaWorld San Antonio for Wild Days is the all new Lumberjack Challenge Alaska vs. Texas! We first got to see the these guys in Alaska a few years ago and they are great! Their skills are incredible and the show is packed with fun and humor. 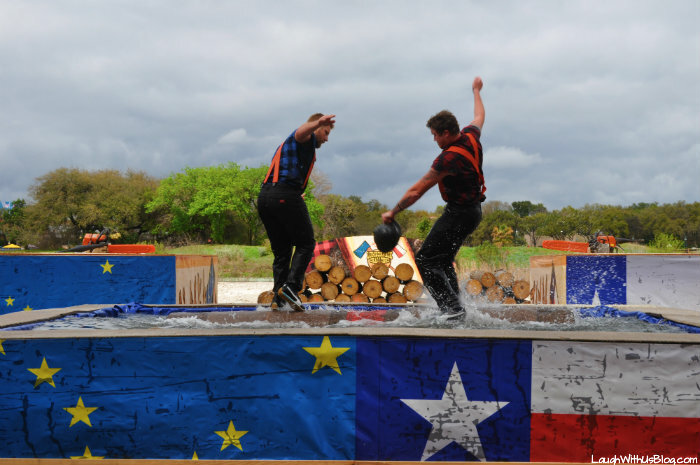 Go Texas! 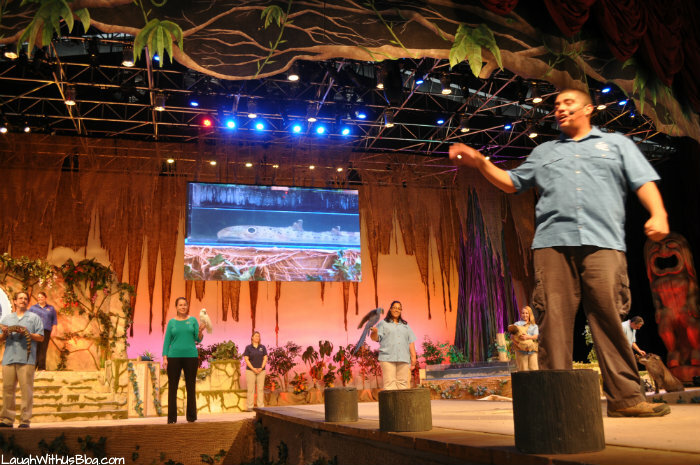 This is SeaWorld’s newest educational show featuring dolphins, beluga whales, and macaws. 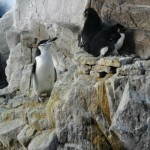 I loved seeing what these beautiful animals can do and learning all about them. 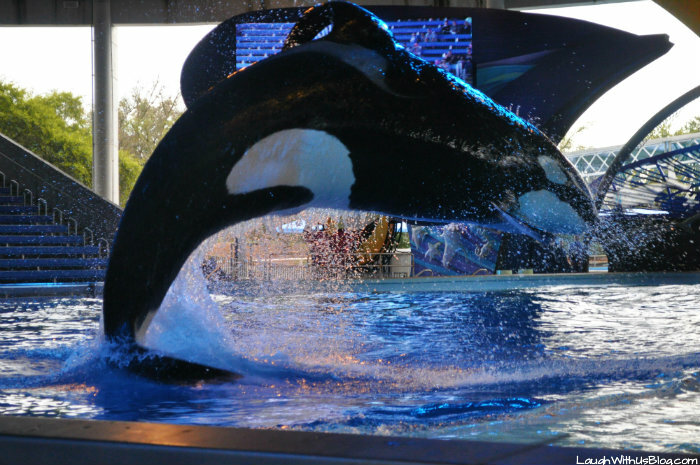 Get wild and sit in the splash zone for beautiful up close views of these amazing killer whales! Oh my goodness! 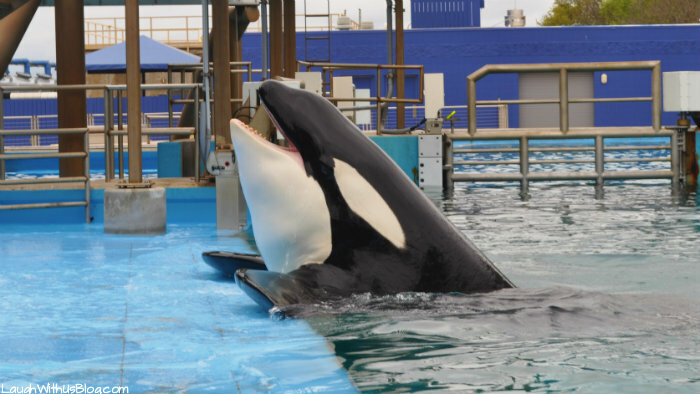 I have always wanted to Dine with Shamu! This is such a neat experience, unlike any other. 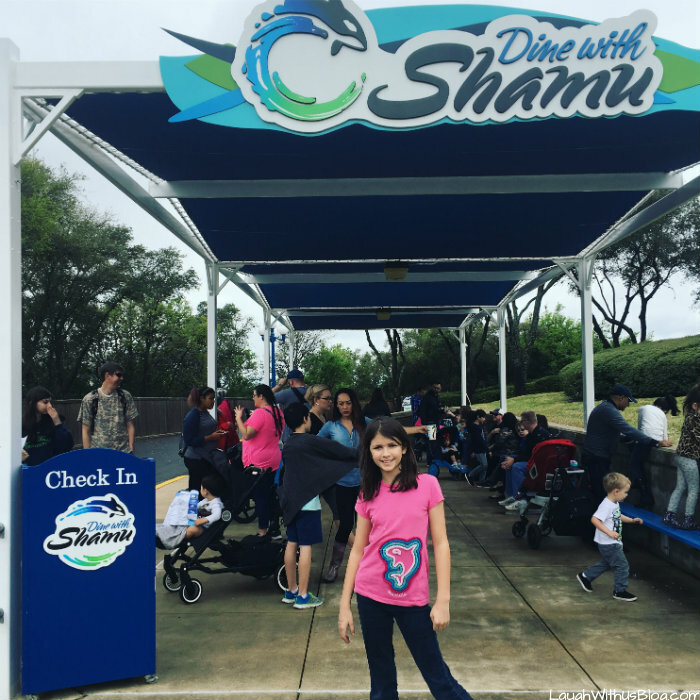 Dine with Shamu is an out door experience in a section of the park that is normally restricted to trainers. 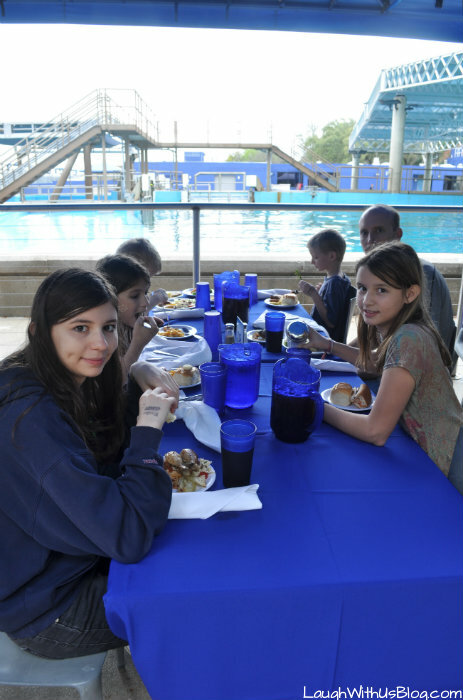 The dinner is buffet style and perfect for kids. I know mine are ever so much happier when they can see and pick what to eat. 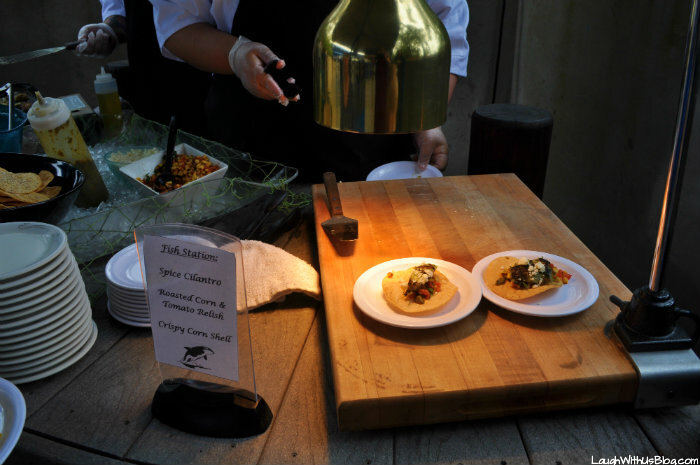 My favorite foodie find was these fish tostadas with roasted corn and tomato relish. Yum! 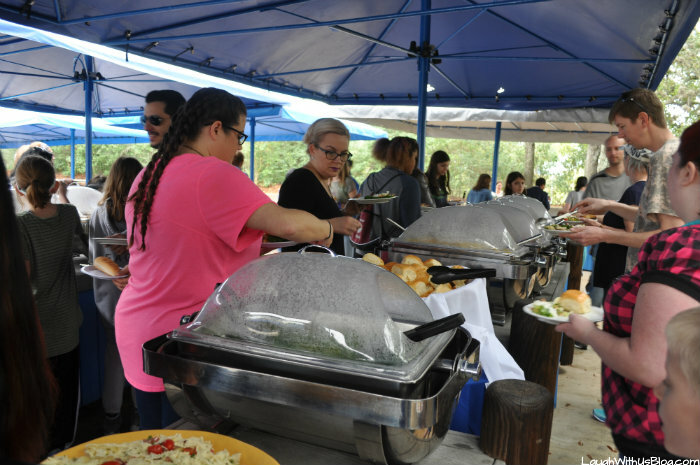 The dessert bar was a huge hit! While we ate, the whales were swimming happily in the pool beside us and their trainers were available to talk to. It was fun to learn from the people that work with the whales daily. We found out the whales eat between one and two hundred pounds of fish a day! 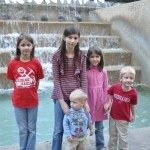 Our next questions was…who cleans out the pools? Ha! Well, the machines do it actually. They are set up with a huge filtration system that filters the water and keeps it clean. 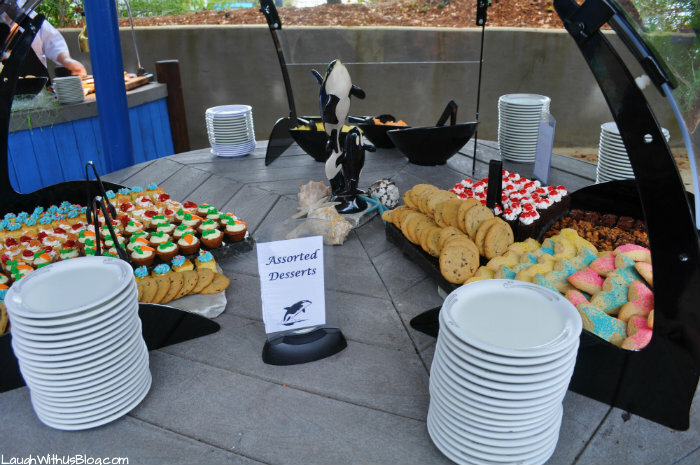 Dine with Shamu is a great way to relax far from the crowds. 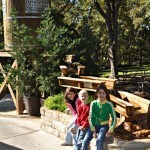 It’s the perfect addition to your park adventure! 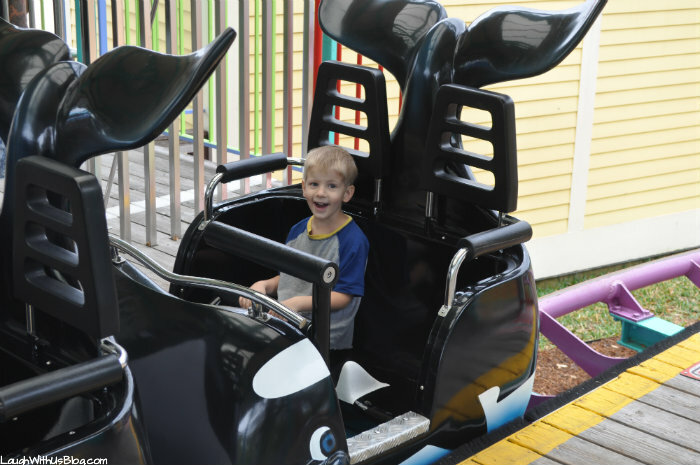 The shows at SeaWorld are amazing, but don’t forget to catch some great rides too. We began our day with an hour of rides letting the older kids get their roller coaster fix, and my little guy his Shamu roller coaster. Then we also caught some rides before going home. 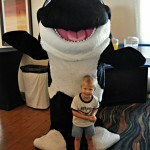 SeaWorld has it all! 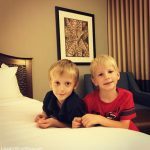 Hilton San Antonio Hill Country for your SeaWorld Adventure!